The client, a consultant, needed a website and logo to professionally present his unique human resources support capabilities: Using sports agent techniques to bridge the gaps between job seekers and organizations. First we studied what few competitive sites there were to better understand the marketplace and good/bad ideas that others have had in the industry: primarily sports agents sites. Following that analysis and wishlist conversations with the client, we developed a sitemap that plotted out the topic of every page and its place within the site structure. Next we created a logo that represented a “global upswing,” the positive momentum generated by his service and the ideal placement of a candidate within a company. 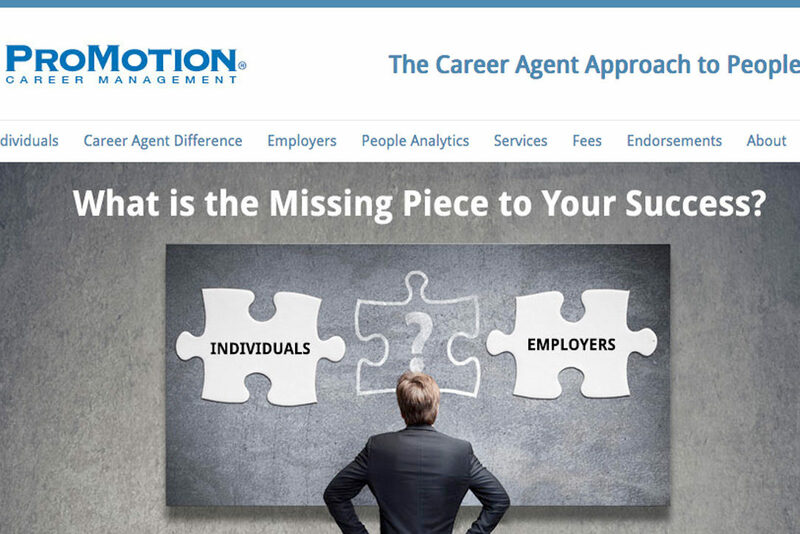 Using the logo’s color palette, we produced a website that clearly and quickly conveyed the unusual idea of sports-agent-type support for corporate professionals. The results have been spectacular, with a part-time consultancy becoming a full-time job with an ever-growing client list of both individuals and internal executives. In fact, the firm is now branching out further — by using corporate analysis tools to help identify and represent high school and college athletes!